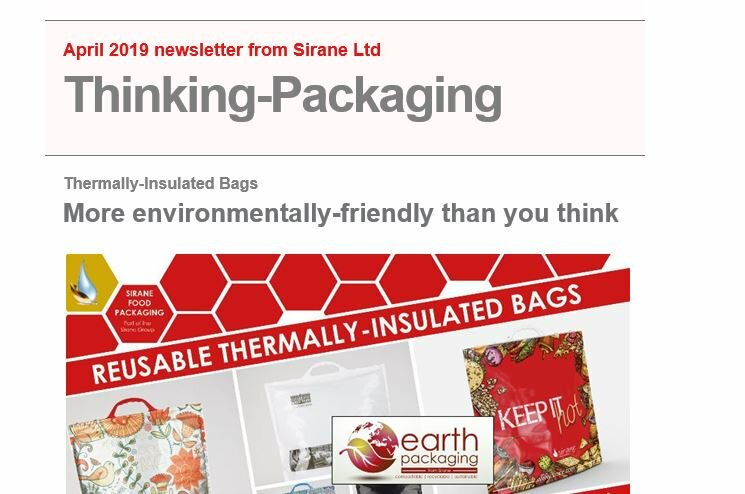 SIRANE has launched a new online store offering some of our more popular products including cooking bags, flower packaging and insulated bags. Simon Balderson, Sirane managing director, said: “The new Sirane online store will fill a gap by allowing customers looking for smaller quantities to order online. “Florists will be able to buy compostable flower pouches in a range of colours, compostable plant pots in four different sizes, and even compostable flower-wrap. Domestic/home use includes Thinking-Cooking and will shortly have compostable plant pots added for home use. Food service includes a range of packaging solutions, including steam-cooking bags, oven/BBQ bags, nylon roasting bags and thermally-insulated bags, as well as nylon catering liners and absorbent rotisserie liners. Steam-cooking bags are available in a range of colours, as well as with printed cooking instructions, while our thermally-insulated bags are available in a wide range of options including different sizes, and with anti-bacterial protection. Medical & Healthcare includes all the products previously sold on our Enaris website, such as anti-slip absorbent floor mats, 95 kPa bags, and absorbent wadding. Mark Lingard, Marketing Manager, said: “This new online store is a result of a steady stream of inquiries from smaller customers looking to buy. Our minimum orders were always a problem, but this online store allows them to buy what they need. “The current product listing is just the start, we have ambitious plans for this online store, and intend to add a range of new products as the year goes on. For more information, or to start buying now, visit http://shop.sirane.com. No accounts are needed, and free delivery for commercial orders is from just £100.